Rural Wyoming isn’t exactly bursting with people, fashion and excitement like the hubs of trendiness in California or NY. Yet cosmetologists in rural Wyoming earn on average in the highest ten percent of income, in comparison to other rural areas. If you’ve decided on beauty school already, finding the right education plan amid one of Wyoming’s institutes can help you get your license as a hairstylist and cosmetologist. This, in turn, opens up a lot of earning potential, not to mention an exciting new career, even in rural Wyoming! How Long Is Cosmetology Schooling in Wyoming? To begin your life as a cosmetologist, you need to start with the right program. A cosmetologist course in Wyoming should be at least 11 months long, and includes 2,000 hours of education. If you’re looking to become a hairstylist, you can do so with 1,000 hours of study. The long program duration means slightly higher costs than shorter programs but, fear not, there is financial aid. As a cosmetologist, you’ll get a better and more rounded education in subjects ranging from skin theory, hair technology and chemistry, theory of nails and related structures, and professional standards and ethics. You’ll love learning new things with people as passionate about the industry as you are, and when you’re ready, you’ll be eligible for your exams! Once you’ve graduated, you will need to apply to take your exams. The license exams are offered six Sundays per year. You’ll need to take a written exam, which is multiple choice, and then a practical, which includes set up and client protection, curling, cutting, hair lightening and other skills. You’ll need to bring your own kit and mannequin to the exams. Once you’ve passed, you will automatically be issued your license. 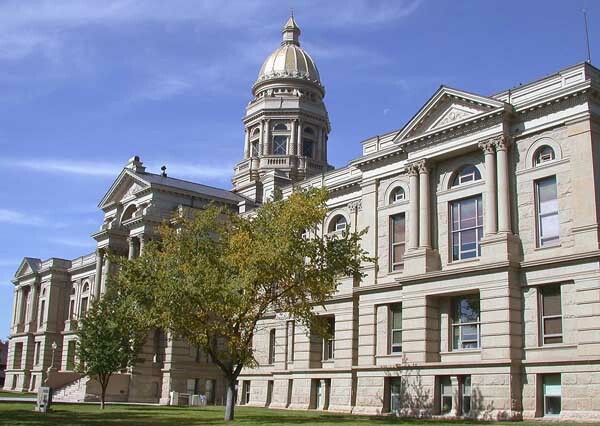 If you’re looking to move to Wyoming from another state, you will need to prove that your education requirements are equal to or greater than those required by the Wyoming State board. You must also prove that you have passed the NIC exams. You should be aware, Wyoming does not recognize apprenticeships. You must have proof of education to fill out your endorsement application. Your license needs to be renewed every two years in your birth month. Currently, there are no continuing education requirements, but you should always be working to expand your skill set, to keep on top of industry trends and practices. Wyoming’s beauty industry is as diverse as it’s population and salaries vary a lot too. You may choose to work in an established salon, or give yourself some freedom by renting out chairs, and fostering your own clientele. It’s the best way to build a business big enough to eventually branch out into your own salon. However you choose to grow your new career, you’ll benefit from some help with a Wyoming job bank. Did we miss any beauty schools in Wyoming? Please let us know. Other Wyoming schools for nail technicians, estheticians, and barbers.